We are living in a world where instant money transfer is necessary for everyone to be it emergency or over to other countries. The necessity of utilizing our PayPal script is more as people of 20 percent always engaging to pay money abroad such as for job, hospital, education, tourism and more. So I can guaranty that you might run a profitable business within a startup. Ultimately designed to deliver instant returns of the monetary business. Why choose Our PayPal Clone? We have developed this PayPal clone script to help users to transfer money instantly and with a more secure way to get it done. This Payment processor script is more reliable and easy to use for the users, so you need to find it hard to go through the process of the money transfers. PayPal clone open source provides a portal where the users can send and receive money without much restrictions, rules,and interventions. The admin can earn the transaction fees for each transaction and this can be managed from the admin dashboard. PayPal clone script software is one of the best revenue models for any startup entrepreneur who wants to start their business with a money transfer website. Money Transfer Clone Script is developed in a way where the admin can add multiple currencies and bank from the interactive and well-designed admin dashboard. PayPal Script has site settings and CMS management module along with the user profile management module which makes it all easy to access from the admin panel. This script has a responsive design which makes it easy to access and navigate from almost all the mobile devices including iPads and tablets. PayPal clone software user dashboard enables the users to view the summary of their recent activity and transactions and can view the transaction on a particular date using our advance filter by date option. The users can send and request money, add their bank details thereby providing the user the sophisticated feature of depositing into their PayPal or bank account and even withdraw from them easily without any hassle. 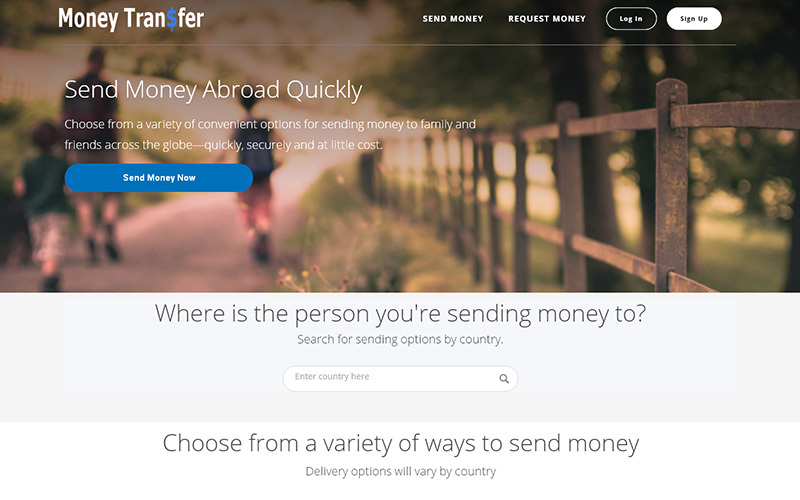 We have designed our Money Transfer Clone Script to support SEO-friendly coding style and with Google standards. You can purchase the script and launch your own payment platform for users to transfer money from all over the world. Apart from all these, we provide 1 year of technical support with free updates for the source code for 6 months. Once you buy the PayPal Script, we will provide you with the full source code and your website will go live within the next 24 hours. Paypal script performs fastest money transfer and clear details about transaction..Am glad with this script.